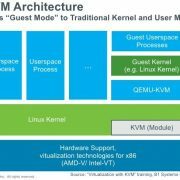 To install VMware tools for Linux and Windows virtual machines the users just need to perform a few simples steps given in this article. Like Oracle VirtualBox extension pack to add extra features for the installed VirtualMachines, the VMware also offers the VMware tools. Inadequate colour depth, restricted movement of the mouse, Inability to copy and paste and drag-and-drop files, Incorrect display of network speed, Missing sound, give the ability to snapshots of the guest OS and synchronizes the time. 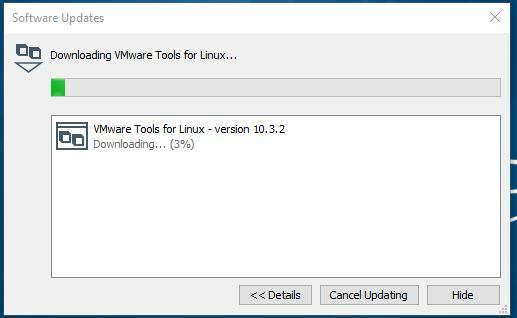 The process of the VMware tools installation is the same for Linux such as Ubuntu, Kali, Linux Mint, Debian, Centos, OpenSuse, etc including Windows10/8/7 or any. 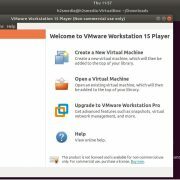 First of all, open the VMware workstation payer where you have installed the Linux and Windows virtual machines. 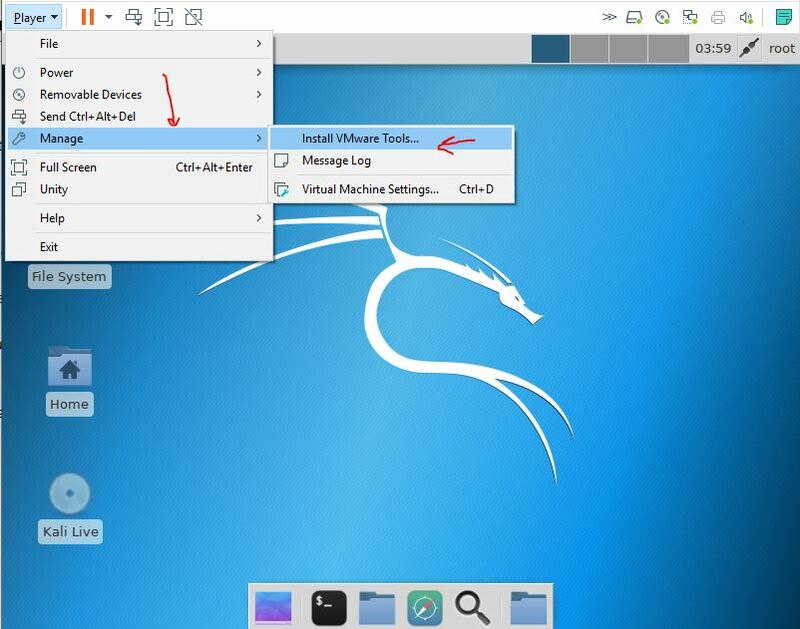 After opening the VMware player, select the Virtual machine which you want to run and where you want to install the Vmware tools. 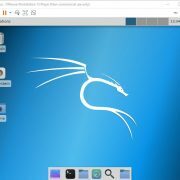 It could Windows 10/8/7 or any Linux Distro. When the Virtual Machine booted completely then go to the Player option given in the VMware player menu. Click on that and then click on the Manage->Install Vmware Tools option. As we click on the Install Vmware tools option, the Player automatically detects the system and download Vmware tool for Linux or Windows respectively. On Windows, the installation of Vmware Tools is super easy after downloading the Vmware player simply mount that under CD-Rom automatically from where the user can install it just like any other normal software. 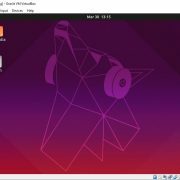 However, it is also the same for GUI based Linux operating systems too. As you can see in the below screenshot, the VMware Tools has been mounted and shown with CD-ROM icon on the screen. Here we are copying the VmwareTools to a temporary directory for the installation process. first uninstall the currently installed version. Do you wish to continue? create, it will not be removed. File /etc/pulse/default.pa is backed up to /etc/pulse/default.pa.old.0. Fusion or Workstation virtual environment. Do you wish to enable this feature? be enabled/disabled by re-running vmware-config-tools.pl. cryptsetup: WARNING: Honoring CRYPTSETUP=[y|n] will deprecated in the future. If you are not able to download the tools from the interface of Vmware player; then visit the official website of Vmware and download Vmware tools directly to install. Here is the link for downloading.